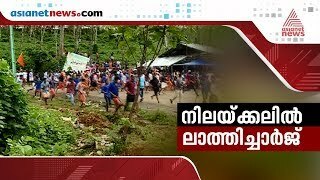 Government has imposed Section 144 (prohibits assembly of more than 4 people in an area) in the wake of the protest which took place to prevent entry of women in Sabarimala temple on Wednesday. 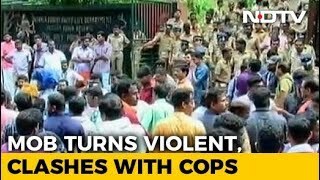 Section 144 was imposed in Pampa, Nilakkal, Sannidhanam and Elavungal where protests turned violent. Protestors tuned up in large number against Supreme Court’s verdict allowing the entry of women devotees in the temple. Meanwhile, a bus, carrying journalists among other passengers, was vandalised at Laka near Nilakkal base camp by protesters this evening. Stones were pelted on the bus Hindustan Times, owned by HT Media Ltd, is one of India’s largest publications that provides unbiased news, analysis and features on politics, sports, entertainment, lifestyle and more. Hindustan Times delivers the news across all social media platforms, on the web, and at your doorstep.